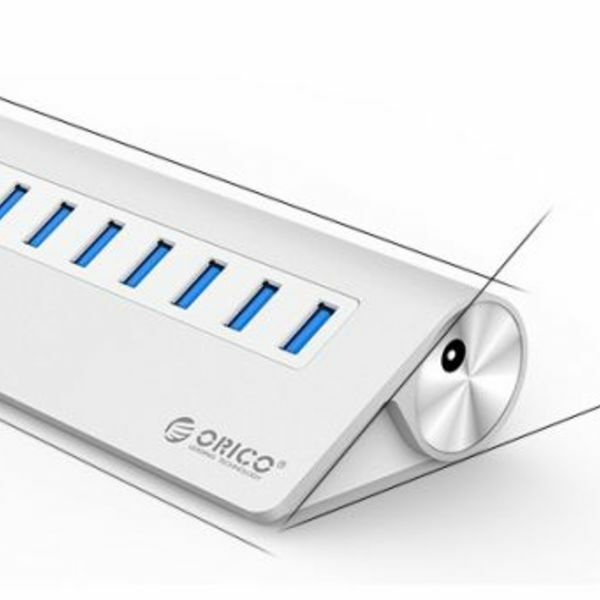 High quality Aluminum 10 port USB 3.0 Hub from Orico. 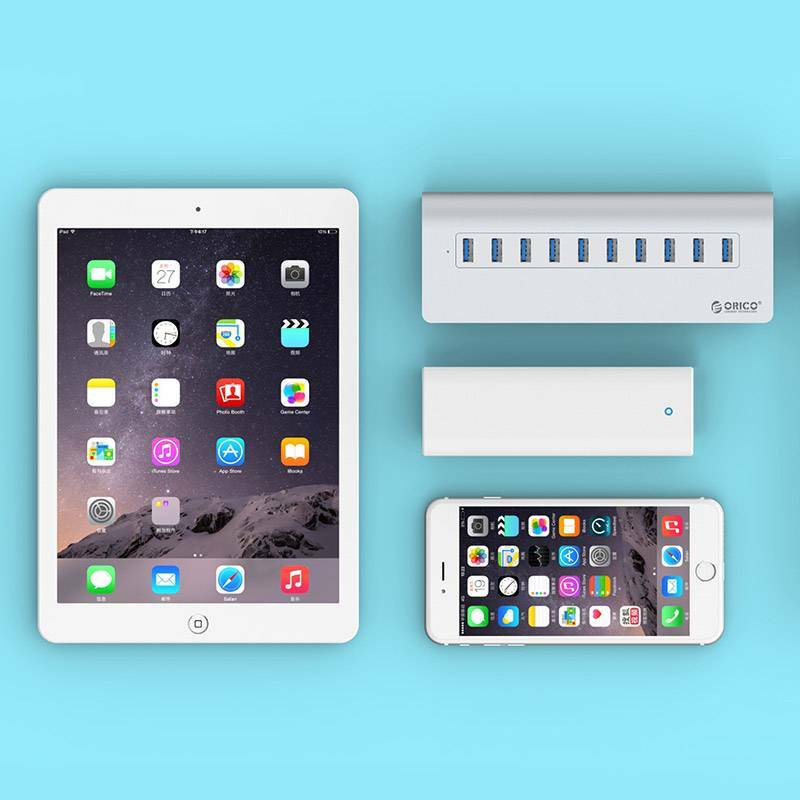 This USB hub in 'Mac style' is a real addition to your desk. 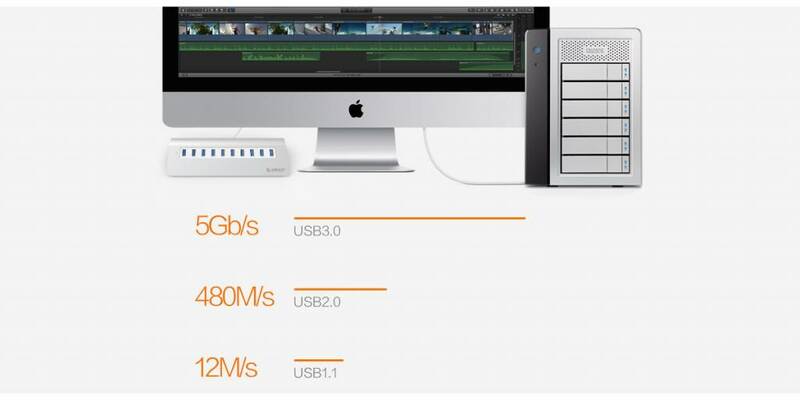 The appearance of the hub fits exactly with Apple products such as a Macbook pro, Ultrabook and a Magic Trackpad. Do you have too few USB ports? 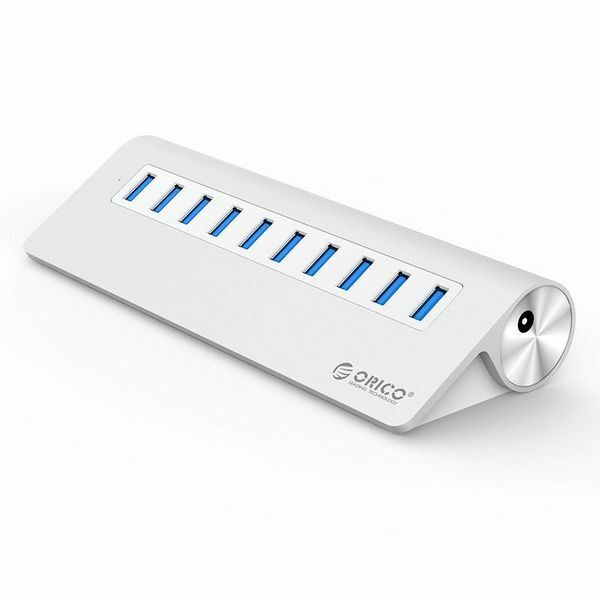 With this super fast aluminum USB 3.0 hub in Mac style, you can connect as many as 10 different USB devices to a single USB port. This high-quality USB 3.0 hub is elegantly styled with super-tight aluminum texture. 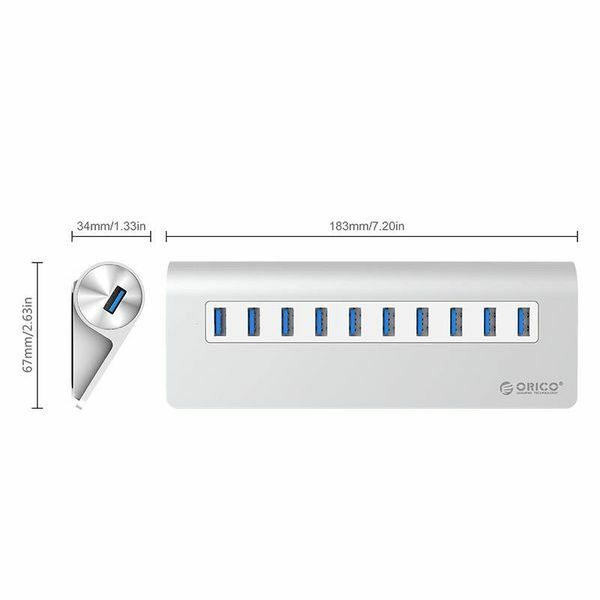 The appearance of the hub fits exactly with Apple products such as a Macbook pro, Ultrabook and a Magic Trackpad. 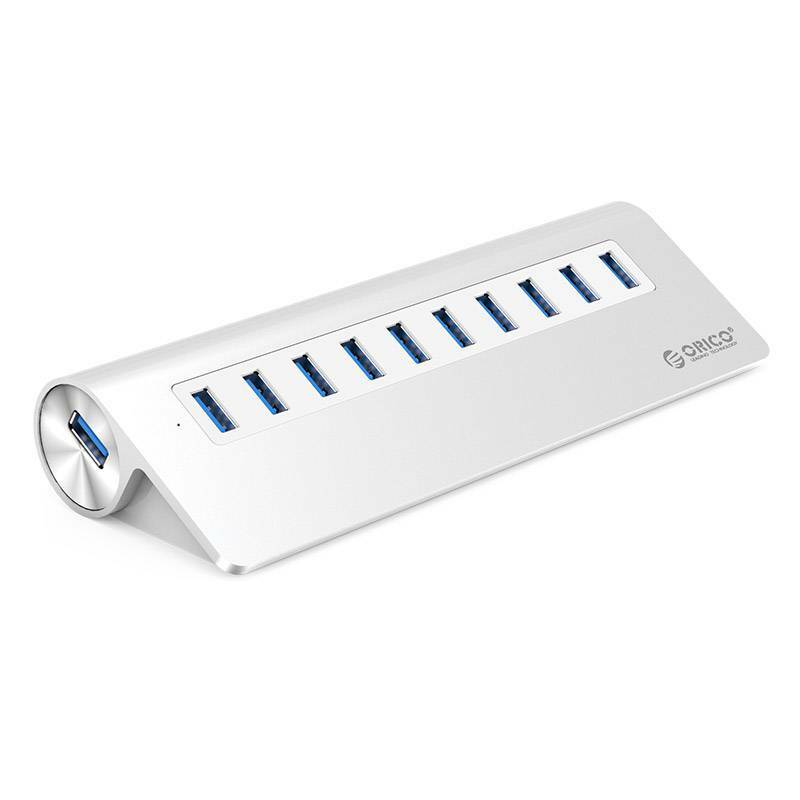 That makes this 10 port USB 3.0 hub in 'Mac style' a pleasant addition to your desk. 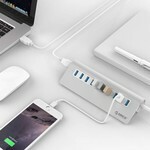 The aluminum USB 3.0 hub is equipped with a Via-Labs VL812 controller and is powered by a 12 volt 3A power adapter (included). Due to the combination of sufficient power and a good controller chip, the ports can be used simultaneously without loss of speed. 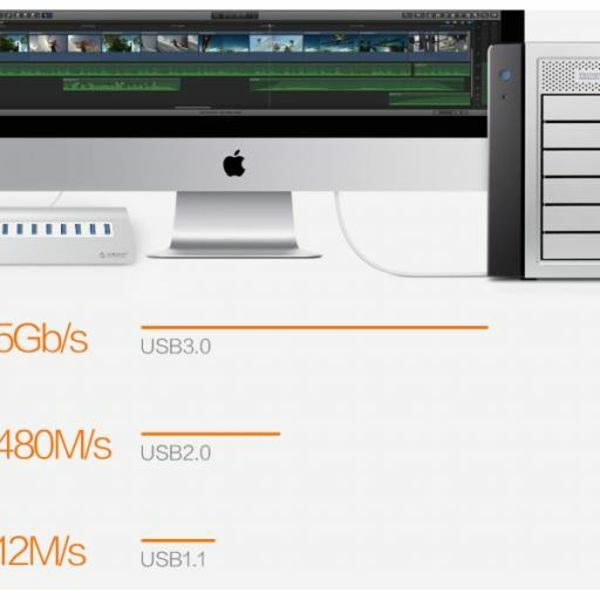 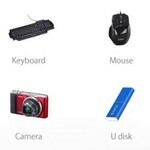 USB 3.0 ports provide standard 0.9A power. 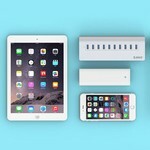 Some smartphones and tablets (eg Iphone and Ipad) require more power, so they are not (or very slowly) recharged when they are connected to the standard 0.9A of USB 3.0. 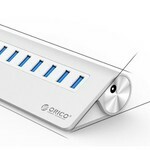 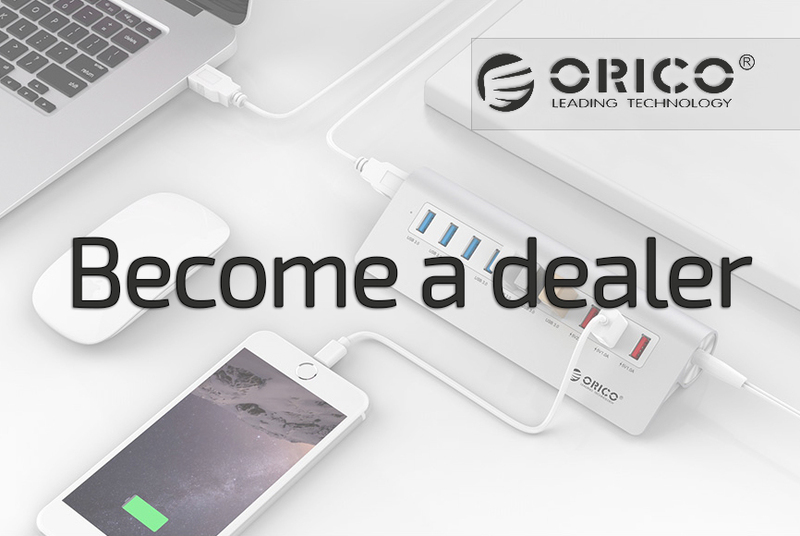 If you want this aluminum USB 3.0 Hub to function as a charging station for smartphones and tablets higher than 1A, we recommend Orico USB hubs with BC1.2 ports , which give a charging current of 1.5A. 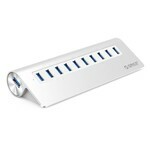 This 10 port USB hub in Mac style is not only very powerful and beautiful, but also friendly to use. 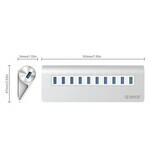 Because the 10 USB ports are positioned at an angle, they are easy to plug in and out.